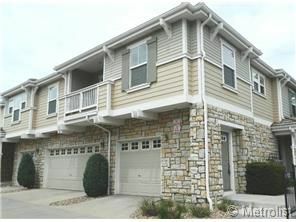 Wonderfully maintained end unit condo in convenient location! Well maintained community, bright open floorplan, 2 bedroom, 2 bathroom with convenience of laundry in unit. Beautiful tile floors in entry, kitchen and bathrooms. Convenience of attached 1 car garage on main level. Extraordinary access to DTC, highways, shopping and dining.